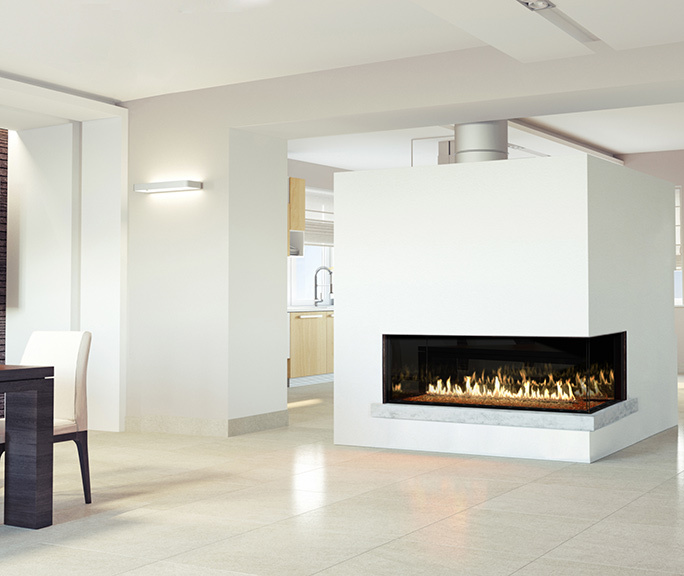 Warm up the holiday season with a contemporary fireplace insert. 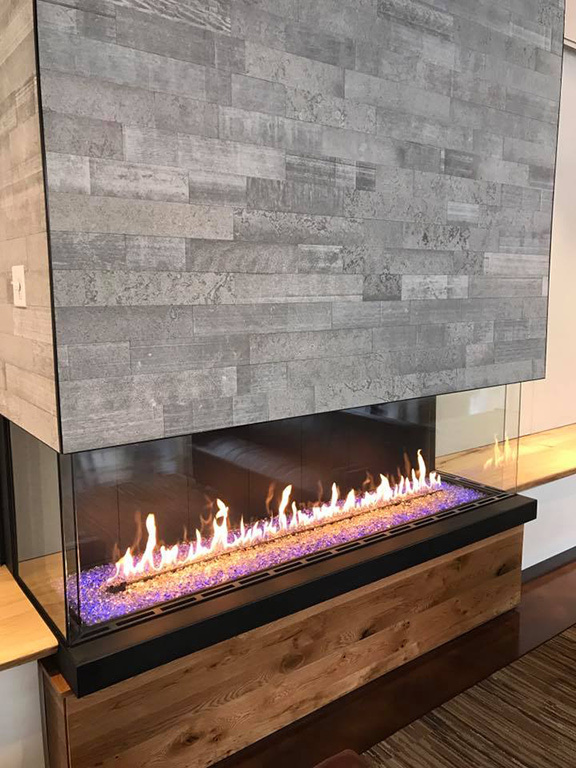 From gleaming tile and exotic decorative rock to driftwoods, brushed metal, and custom colored glass, there’s a fresh and modern option to suit your interiors, budget, and preferred mode of operation. Jost concurs that the majority of contemporary options fall under this category and require the purchase of the unit and the vent system separately. Although slightly more expensive than its ventless counterpart, Jost explains that if you want to give your space a full-on update, investing in your focal point is essential. 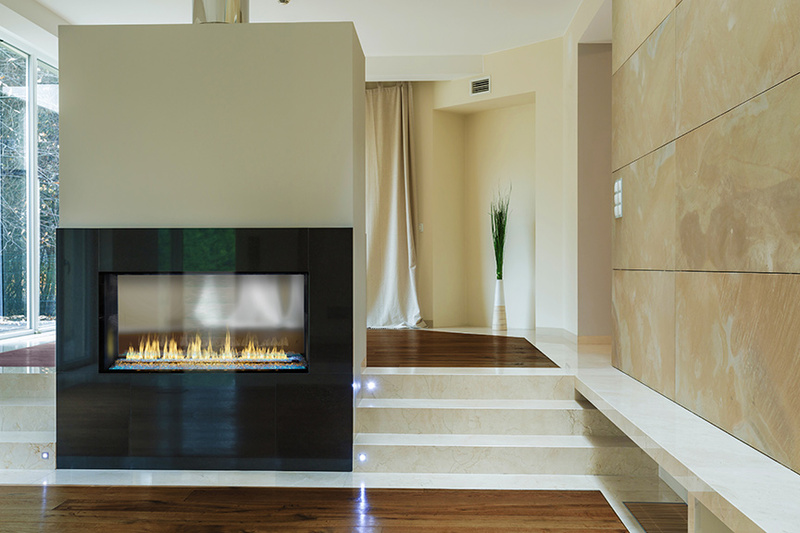 If you really want to treat your chestnuts to something more than a traditional roasting this year, warming up to a contemporary fireplace may be the next big project on your already expansive holiday to-do list. Fortunately, once you select the size, location, and media for your new unit, the experts can handle the rest.